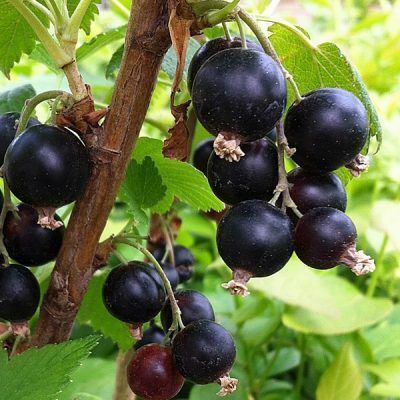 At James McIntyre & Sons we supply an excellent selection of delicious Blackcurrant Bushes in both 3 litres and bare rooted varieties. All of our soft fruits are grown on our East Perthshire farm in the small town of Blairgowrie. Our Blackcurrant Bushes are varied in type, from our mid-season Ben Alder to our popular early-fruiting Ben Connan variety. 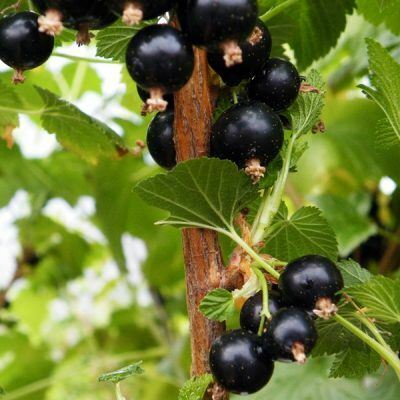 Our Blackcurrant varieties are naturally resistant to frost, mildew, leaf spot and highly resistant to leaf-curling midge. The bushes which we provide are often high-yielding, producing quality soft fruit consistently. 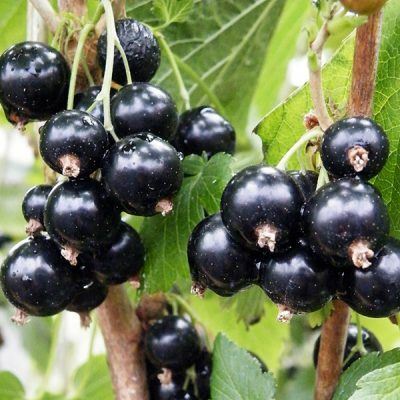 Ben Sarek bushes are ideal for smaller spaces where space is at a premium due to its compact yet heavy cropping nature, while our Ben Connan produces large, glossy berries, which have a fabulous rich flavour to them. 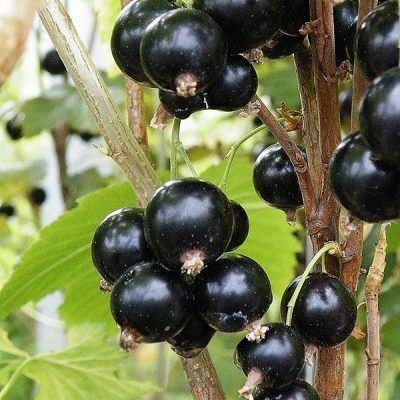 Blackcurrants can be used in a number of delicious ways and make for the ideal berry to use for preserves such as jams, jellies and teas, or they’re equally great in adding flavour to cakes, muffins and pies. 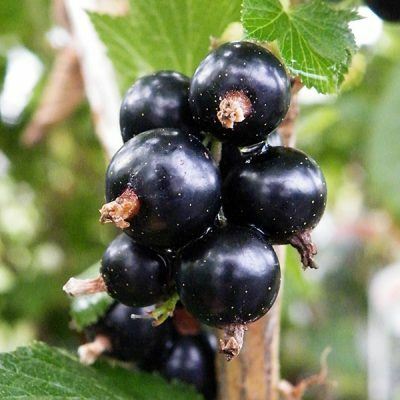 The health benefits of Blackcurrants are extremely beneficial, with the berry packed full of antioxidants, vitamin C, anthocyanins and polyphenolic substances. The super fruit is said to aid in blood flow, eye health, gut & kidney health and the immune system. A sheltered frost-free site in full sun is preferable, however, they can tolerate light shade. 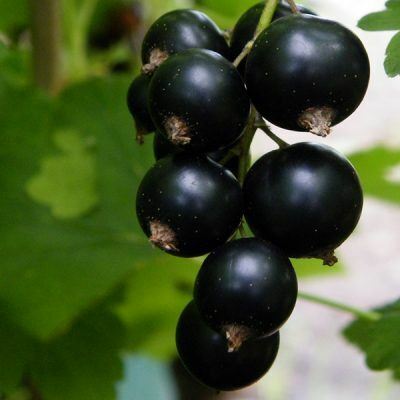 Blackcurrants also like slightly acidic soil but this is not crucial. Plant at a distance of 4-6ft (1.2-2m) apart training left and right from the centre. Prepare a 2ft x 2ft (60cm x 60cm) area at each planting spot by digging a hole approx. twice the diameter of the root-ball or pot. Line the bottom of the hole with fresh compost or well-rotted manure. If using manure, also ensure it is well mixed in with the soil. Plant with the old soil mark (if visible) approx. 2in below the surface. Replace the soil by gently treading it back in and it is a good idea to apply a general purpose fertiliser mixed in with the soil at this time, ensuring the plants get the best possible start. Water in well. If planting between November and March cut back all the shoots to within 2-3 buds (Approx.5cm) of soil level after planting. This should be done between November & March but should not start until 2 years after planting. Remove any branches that may be diseased or weak. As the plant matures i.e. 3-4 years old remove approx. a third of the branches that have fruited to enable new shoots to grow. Do not retain any branches more than 4 years old. Occasionally due to frost, some plants may have lifted during the winter. Check for this, and carefully tread down any that may have done so. Regular weeding is important. Hand weeding is recommended, however, if using a hoe, ensure you don’t go too deep to avoid damaging the roots which can lead to suckers being produced. Watering is vital during spells of dry weather. It may be necessary to cover the plants at night during the flowering period (March/April) when frosts are forecast. In April, apply a good layer of mulch around each bush. 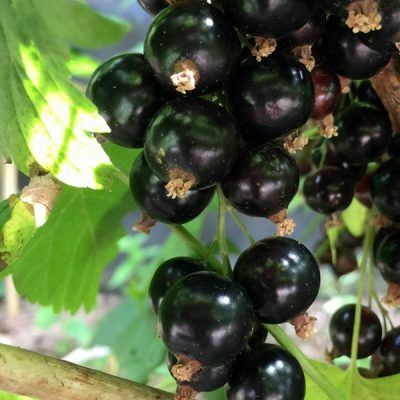 Blackcurrants also need a regular feeding cycle, so as well as applying Growmore in March, they will need a liquid feed that is high in potassium when the fruits are swelling. Bear in mind that it is a good idea to cover the bushes when the fruit is beginning to ripe to keep birds at bay.